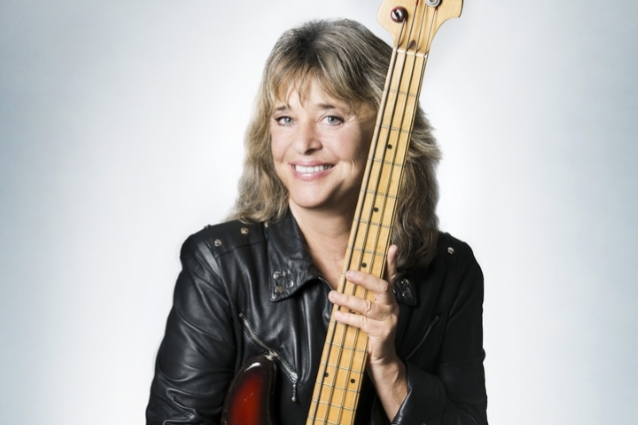 American rock queen Suzi Quatro has released the official lyric video for the song "Macho Man". The track is taken from her forthcoming studio album, "No Control", which will be released through SPV/Steamhammer on March 29 as CD digipak, 2LP gatefold, download and stream. Quatro presents eleven new songs (plus two bonus tracks) on "No Control". The majority of the material consists of collaborations with her son from her first marriage, Richard Tuckey. Suzi explains: "This was our first attempt at writing and recording something together. The creative progress began with 'Don't Do Me Wrong'. And through this unusually beautiful English summer of 2018, we sat outside, acoustic bass, acoustic guitar, iPad recording app, and lots of paper, throwing ideas back and forth." With amazing results, as the new album proves — to Suzi herself not only on a musical but also on a personal level. For example, on "No Soul/No Control", the first single to be released which features the message "Don't let go of yourself for anyone." Suzi: "This is my personal mantra. All you have in this world is you." Remembering the conception of the number, she says: "We were busy as hell, buried in the songs. Richard had a new idea and showed me. It was very unusual and I liked it. A very basic guitar and drum track was put down for me to work on the melody and lyric. I went into the living area of the studio and about 15 minutes later, it was done. It flew out of its own accord, as the best songs do." The same applies to numbers such as "Macho Man" (Suzi: "It's a no-brainer that this is an opening live song. You cannot help headbanging to it, it just grabs you"), "I Can Teach You To Fly" ("a definite throwback to the sixties"), "Easy Pickings" ("I've been playing this riff on acoustic guitar forever, at least the last ten years. Then, all of a sudden, it became a song") and "Love Isn't Fair" ("Got this idea sitting in our Hamburg home. I wanted to create a BLONDIE-meets-MAVERICKS song, and I think I accomplished that"). Perhaps the most unusual track on the album is called "Strings" and has developed into a true little masterpiece during the studio recordings. Suzi: "This is all about the strings that tie our lives together. Great riff. I drove everyone mad singing nonstop in this weird voice 'Strings'. I couldn't get it out of my head, and — hallelujah — it came out in the recording exactly as I'd imagined." 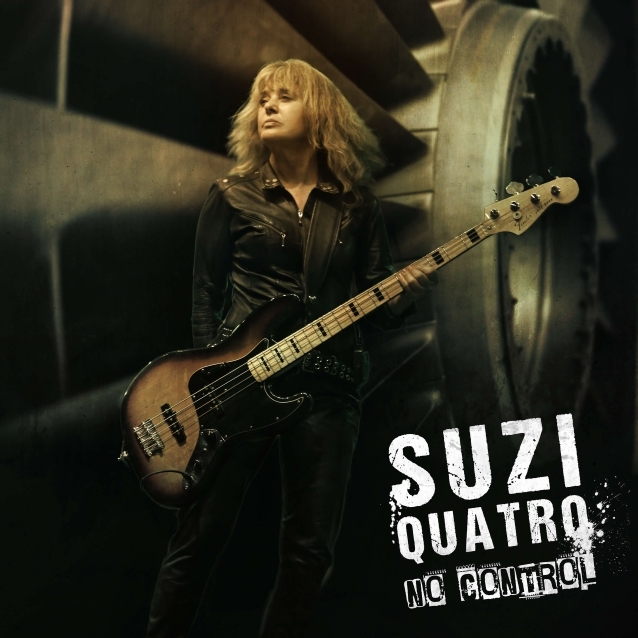 You can tell how proud Suzi Quatro is of "No Control". Pride and delight at a career which has lasted for five decades and has maintained the creativity of the American rock icon to the present day. Says Quatro: "I've never stopped releasing through the years. 'Back To The Drive' in 2006, 'In The Spotlight' in 2011, 'Quatro, Scott & Powell' in 2016. These albums were thought about and planned out in great detail. I am proud of all three releases, very proud. But my new album 'No Control' is its own animal."